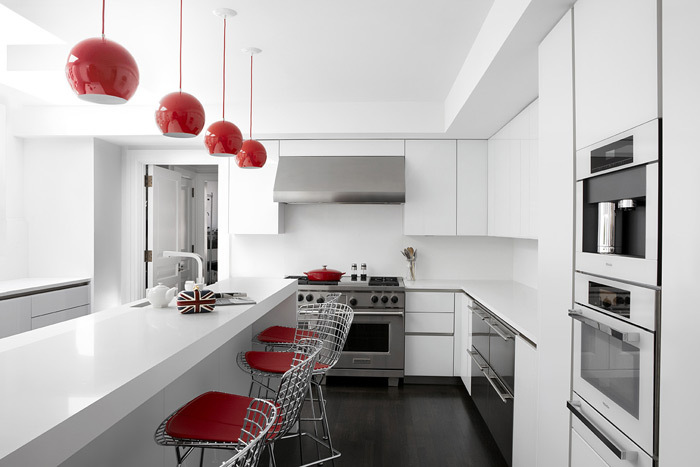 "The goal when designing this kitchen was to create a space that was both functional and high-fashion. A place where Tamara could sit and read her London Evening Standard with a cup of tea after a long day of designing her new line of high end ready-to-wear clothing and of course shoes and handbags as her daughter Minty explores her love of baking. 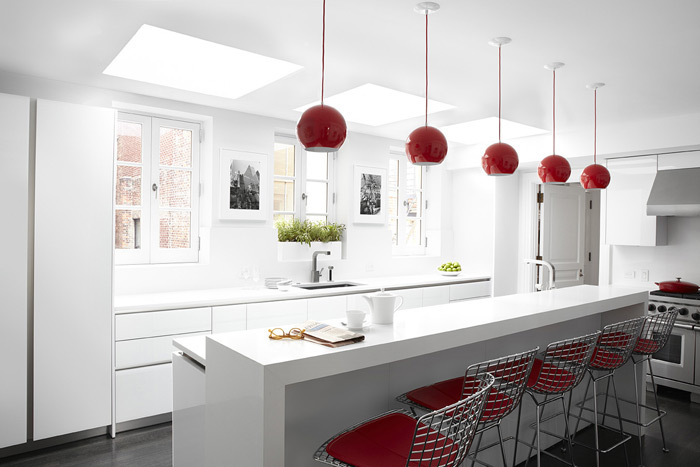 White Cesar stone counter and back-splash complimented by the gorgeous reverse painted glass Warendorf cabinets and the real pop of sparkle and color come from the Bertoia Barstools with Knoll red vinyl seat pads."